Before I cross the Drake Passage, I’ll stop in a little town in Tierra del Fuego called Ushuaia. It’s easy to miss and exists largely to support tourism of the exquisite Patagonian wilderness. It also serves as a point of departure for Antarctica. 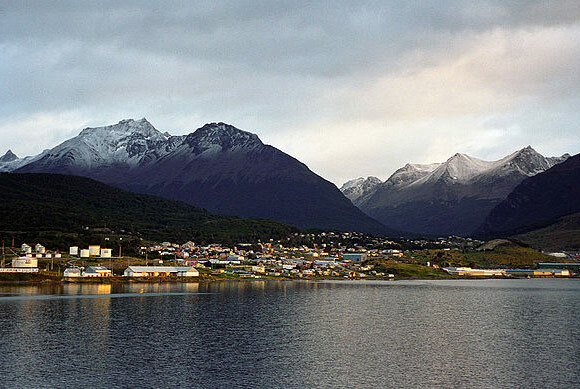 Hailed as the Southernmost city on the planet, Ushuaia is situated at the very end of the Martial Mountains (essentially the Southern end of the Andes). It sits, as its official slogan states, at the end of the world. It also happens to be rather breathtakingly beautiful. One could lose oneself in such splendor. 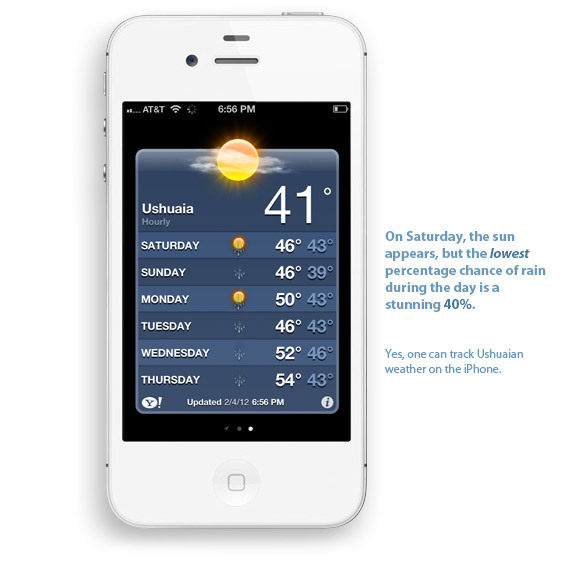 I have been watching Ushuaian weather for over 40 days. I have yet to note a single rainless day. On my trusty iPhone, even sunny days feature iconic water droplets. A rain coat is clearly in order. I’m not worried. I shall enjoy every blessed drop. But I’m not just focusing on the sights or the weather. I’ve got a mission to complete. Together, we’ve accomplished much for conservation and I’m now very close to the $25,000 milestone. Please consider donating to the fine cause.